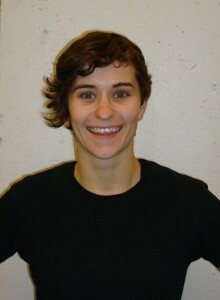 If you have been in the gym you have seen Laura, our resident Xfit expert. Whether she is pumping up her clients for (another) set or pumping up herself for (another) set, Laura impresses even the fittest of gym goers with her intensity, challenging workouts and motivational “chants”. So who is this amazing trainer? Laura has a degree in Sport and Exercise Science from Australia and has completed a Level One CrossFit course, an area she specializes in. Laura likes to keep a strong focus on technique and working on the big muscle groups, using functional fitness to prepare you for anything life can throw at you. She is a strong believer in the idea that a healthy lifestyle = a happy camper. That exercising and eating well doesn’t have to be a chore if you find the way that’s right for you. A bubble of energy and enthusiasm, Laura is ready and waiting to motivate you to achieve your goals. Laura is currently leading our Spartan Training sessions with Virgil. If you are interested in joining the Spartan group or training with Laura, please contact the Front Desk.